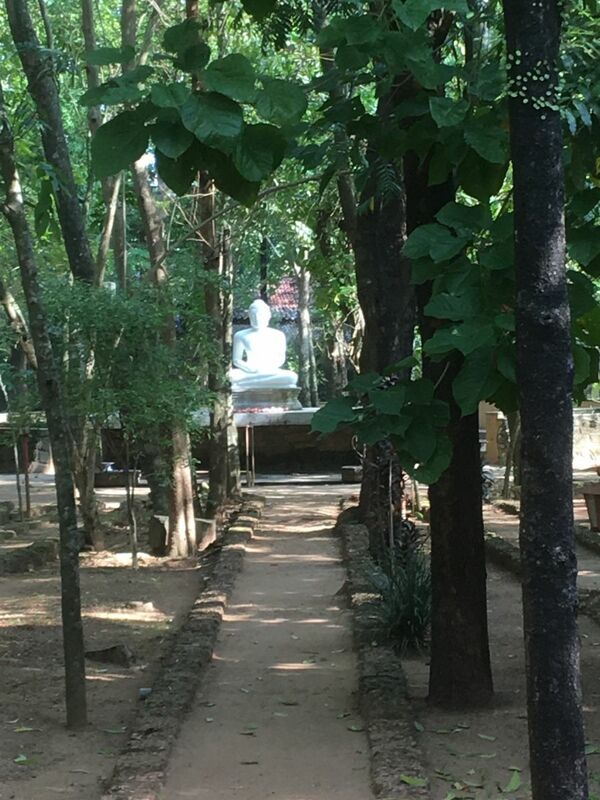 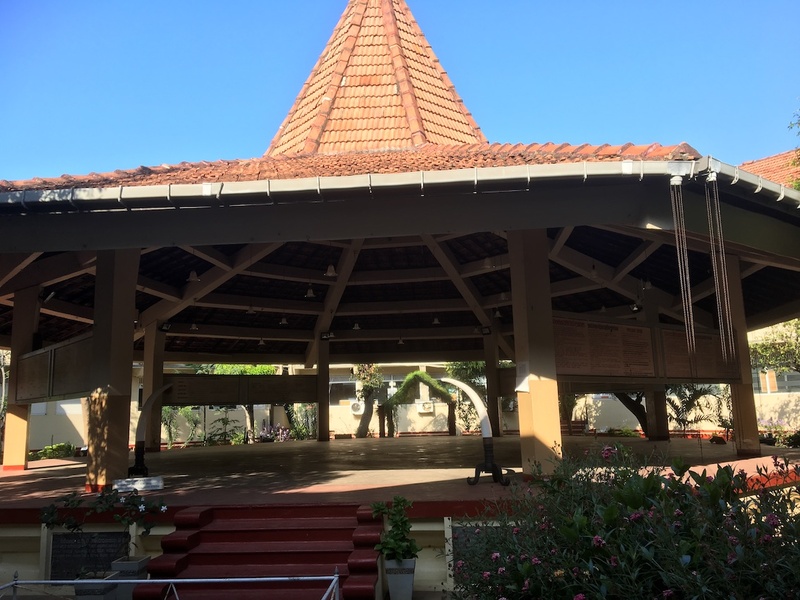 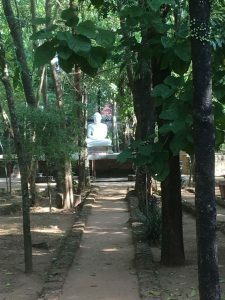 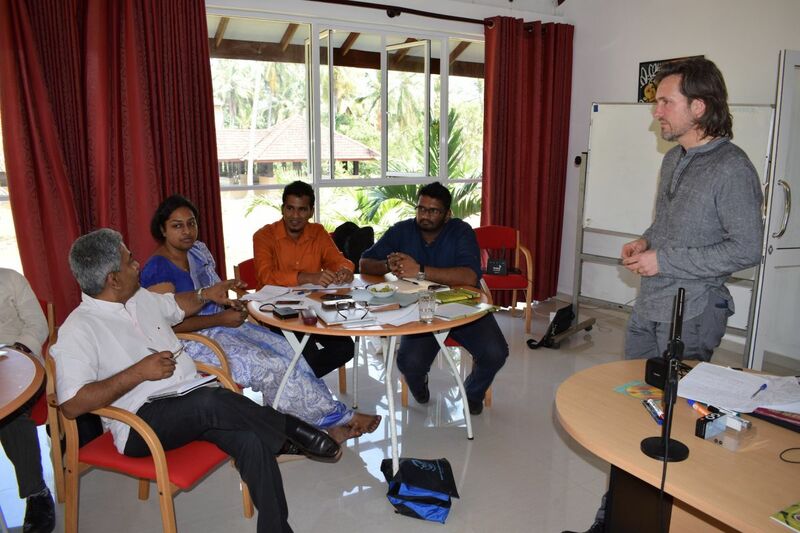 22 February 2018: Through a series of workshops in Sri Lanka, Sarvodaya and Trans4m, deepened their partnership for holistic development – this time with a particular focus on creating a new educational platform within Sarvodaya to stimulate widespread societal transformation in an integral guise. 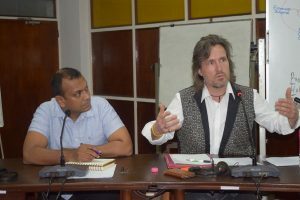 Together with Sarvodaya’s General Secretary, Dr. Vinya Ariyaratne, Trans4m Co-Founder Alexander Schieffer hosted a series of workshops and interventions to support Sarvodaya’s ongoing process to develop a more integrated strategic perspective (“One Sarvodaya”) around its vast array of interconnected developmental activities across Sri Lanka – touching around 15.000 villages. 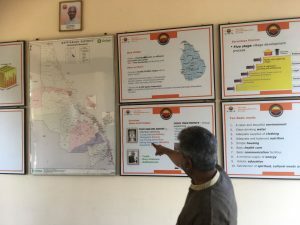 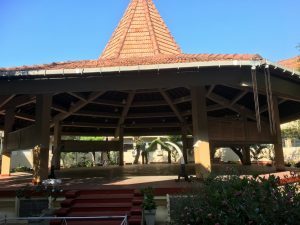 Emphasis was given to further develop the Sarvodaya Institute for Higher Learning (SIHL), with its main campus in Bandaragama, and further eight learning centers spread across various provinces. 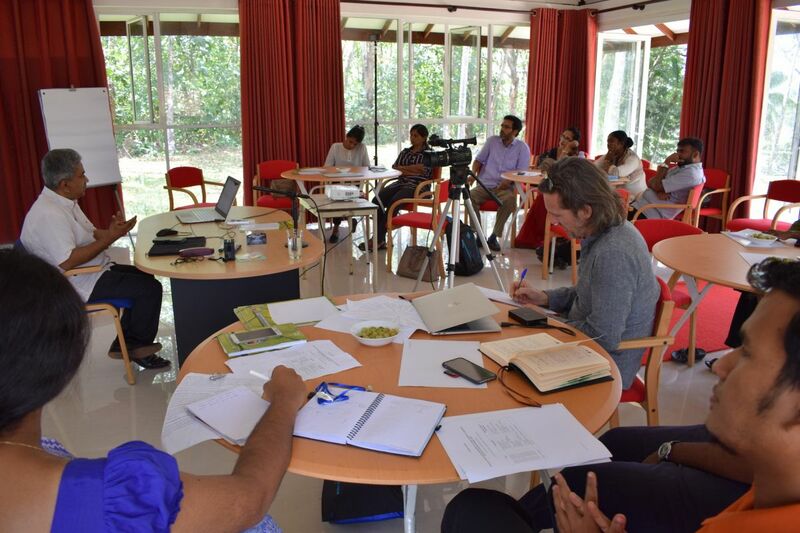 In a full day workshop with about 30 educators, development agents and program coordinators of Sarvodaya, covering a wide range of disciplines, we explored different designs of a future university, catering to the development not primarily of individuals, but of communities at large. Specific time was given to explore the role of faculty development – enabling future faculty to become catalysts of developmental processes, rather than conveyers of knowledge. 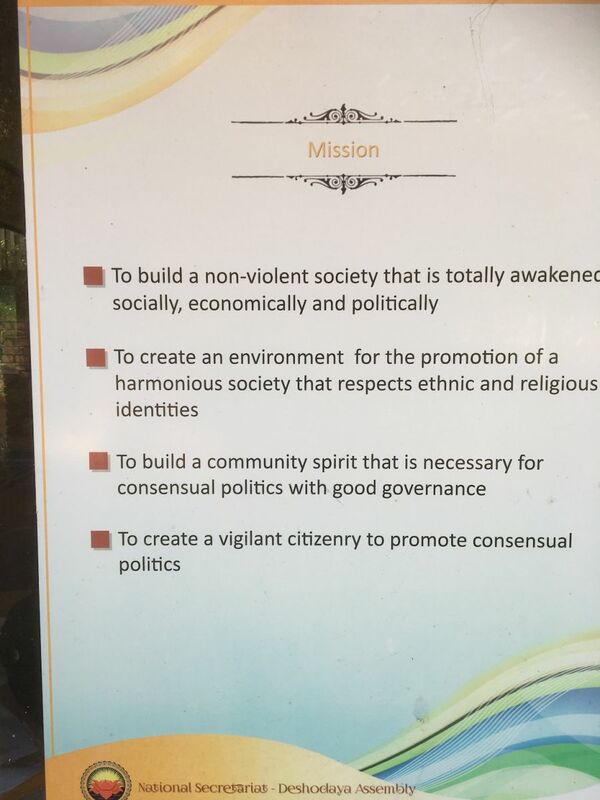 A future university, to be positioned at the heart of a more integrated “One Sarvodaya” network-initiative, would need to become a hub for community learning, collective knowledge creation and participatory social innovation – thereby enabling the ongoing renewal of Sarvodaya from within, as well as that of the country as a whole. 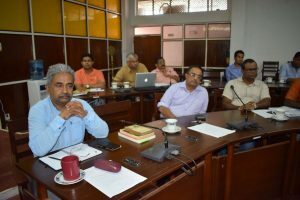 A high degree of interlinkage between the already established Sarvodaya learning centers across the country will be vital to generate a nation-wide field of distribute knowledge production and innovation – generating knowledge and holistic development solutions where they are most needed. 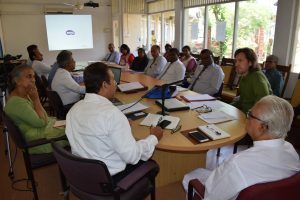 The visit of the Sarvodaya Development Education Institute in Batticaloa on Sri Lanka’s East Cost, as well as a conversation with the Vice Chancellor of the nearby Eastern University affirmed the potential for a future Sarvodaya University to host such a large-scale innovation field. Furthermore, reminded of the over 5000 existing Sarvodaya village societies that have been established in rural and urban communities to take on local development projects, we explored the possibilities in evolving or complementing them through village innovation centers – with a view to strengthen local innovation ownership and to decentralise the knowledge production and knowledge application process. In sum, we were envisioning an entirely new design of a university whereby its role in society would be that of a true agent for the holistic development of people, communities and society at large. A short workshop with the executive board of Sarvodaya Development Finance (SDF) – a nationwide provider of microcredit and financial services for micro and small enterprises – examined ways to align Sarvodaya’s financial offering further with the integrated development philosophy of Sarvodaya – with a view to evolve finance into an enabler not just of livelihood and economic sustainability, but equally of cultural, ecological and social sustainability. The meeting with the team of Vishva Niketan, the International Peace and Meditation Center of Sarvodaya, under the leadership of Dr. Charika Marasinghe, surfaced the impressive work of Sarvodaya with regards to spiritual and psychological awakening, as well as in the field of stress relief. What became evident was the huge potential to integrate the center’s knowledge and processes further into other Sarvodaya activities. 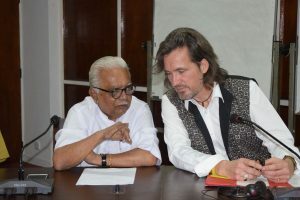 Again, this was seen as an important role of the future university, to activate and evolve, in an interconnected way, the integrated knowledge base that is held across all Sarvodaya institutions and its vast community network – and to develop holistic curricula and developmental processes on that base. 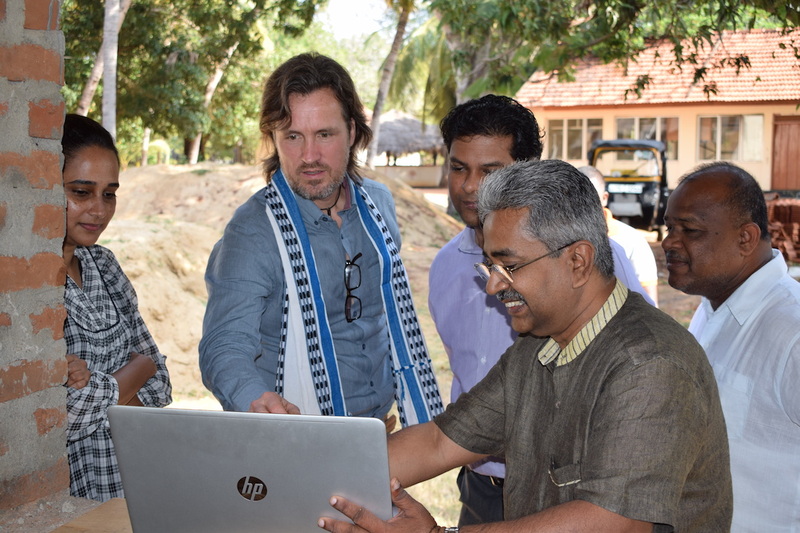 Those insights were further enriched through our participation in a Shramadama Camp in a remote village in the center of Sri Lanka, where about 100 students, partly from the Eastern University, partly from Sarvodaya’s Shanti Senan (Peace Corps), came together to work with local villagers on interfaith reconciliation processes (a topic of huge important in post civil war Sri Lanka) as well as in literally building a new road together. 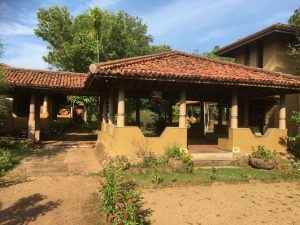 The opening of the camp took place in the primary school building of the village, attended by various types of Sarvodaya related organisations, as well as local civic, political and religious community leaders. 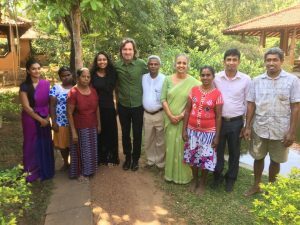 The opening ceremony and subsequent camp was a potent demonstration of the potential for community transformation if various rural-urban stakeholders are catalytically brought together around a common purpose, and within a Shramadana (Sharing the Work) process. 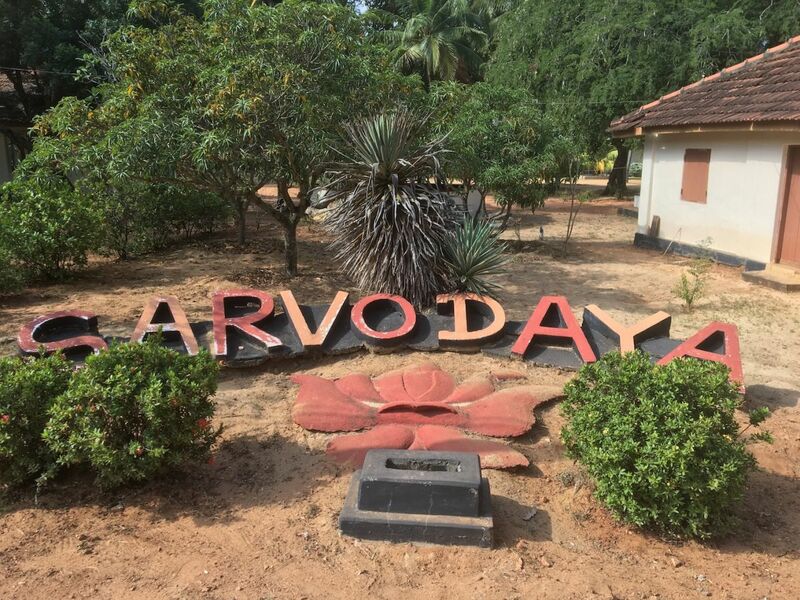 Here lies a key strength of Sarvodaya – and we were exploring how to leverage these experiences and learnings, accumulated over now 60 years, through transformative curricula and education – with a view to “Awakening of All” (the translation of the term Sarvodaya). 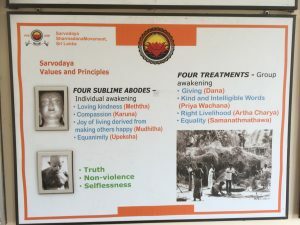 Deshodaya (National Awakening), a more recent and now vital focus of Sarvodaya, is closely linked to this objective. In in-depth conversations with Sarvodaya’s Executive Director Chamindha Rajakaruna and the National Organizer Nishantha Preethiraj, we discussed the successes and hindrances of the Deshodaya processes, seeking to develop the capacity of people for engaged citizenship, good governance, political participation and sustainable peace. A practical application of such Deshodaya work is Sarvodaya’s massive Disaster Response unit, whose effectiveness is strongly dependent on the ability of people for local mobilisation, process ownership and collective participation. 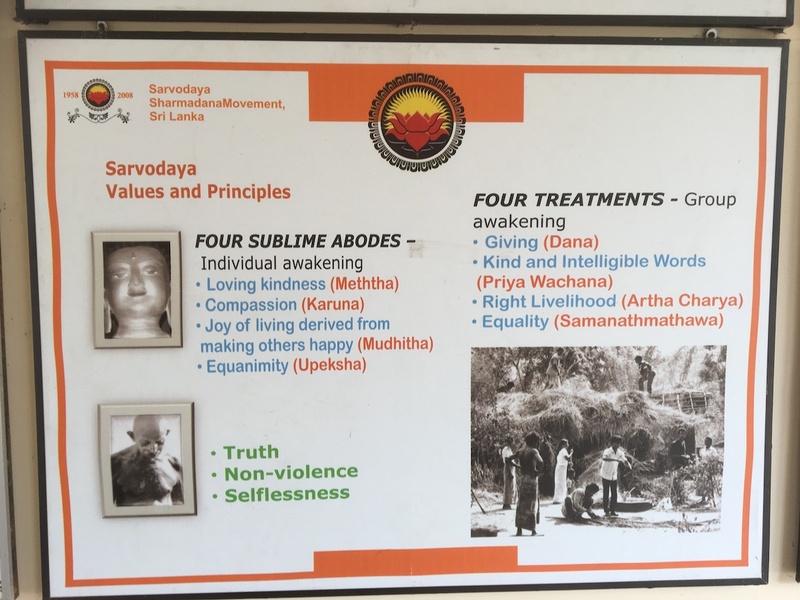 In preparation of Sarvodaya’s 60th anniversary in December 2018, a Sarvodaya Museum is in the process of being finalized – providing potent evidence of the achievements over the past six decades. 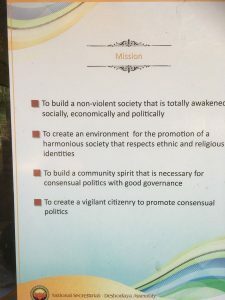 We discussed the design of such an “Awakening Museum” as a “transformative learning experience”, engaging the visitor intellectually, emotionally, and spiritually – and animating her or him to participate in individual, communal and societal development. 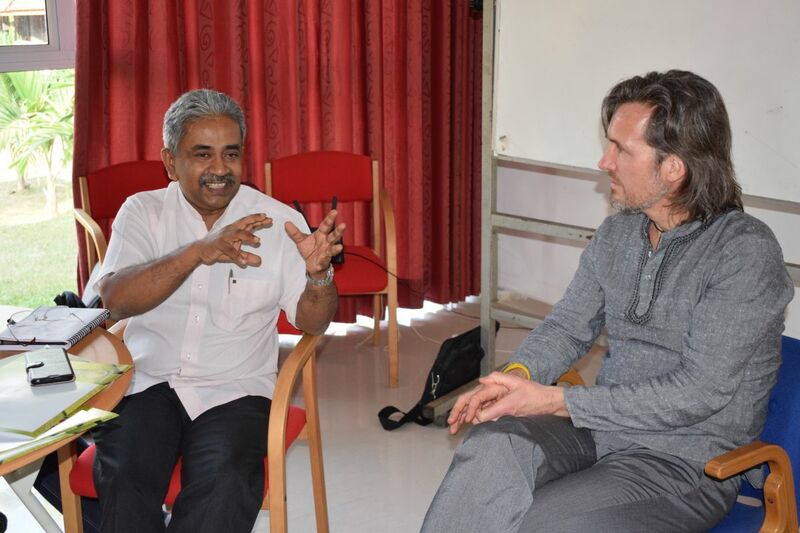 On the final day of our Sarvodaya-Trans4m co-engagement, Alexander Schieffer was invited to share his observations with the Sarvodaya Council, a 70 members group of societal leaders from all sectors of society, that is convened on a monthly basis. He mirrored Sarvodaya as a whole, using Trans4m’ integral framework – and reflected on the evolutionary potential of each of the Sarvodaya divisions, individually and as “One Sarvodaya”. 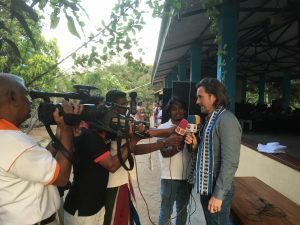 This led not only to a vibrant discussion, but also to an affirmation for Sarvodaya and Trans4m to work closer together in the future – in Sri Lanka, but also across continents – with a particular focus on transformative education for holistic development of individuals, communities and societies. Intense dialogues with Sarvodaya’s founder and president Dr. A.T. Ariyaratne, his wife and founder of Sarvodaya Suwasetha Sewa Society (caring for children, elders and disabled) Mrs. Neetha Ariyaratne and their daughter Dr. Charika Marasinghe (Vishva Niketan), rounded out the intense work week in Sri Lanka. 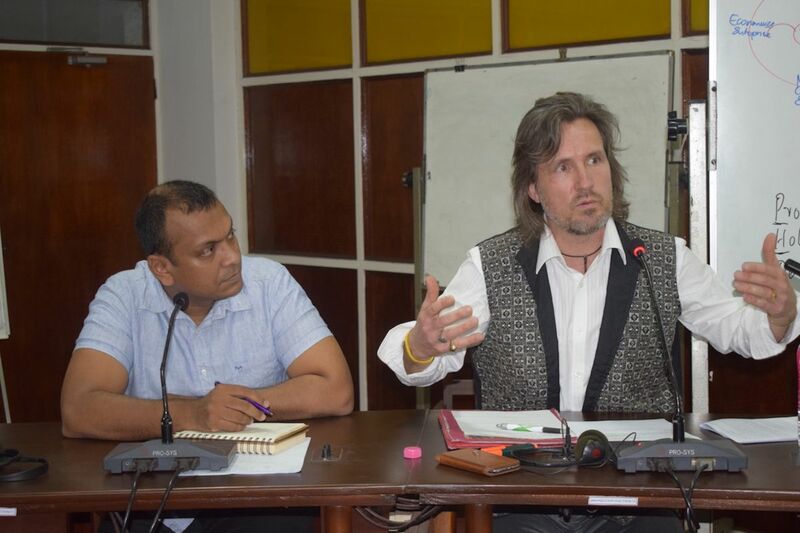 In a concluding meeting, Dr Vinya Ariyaratne, who is also a member of Trans4m’s Global Wisdom Council, and Alexander Schieffer developed various forms of collaboration between both organisations – to be taken forward over the coming years.